HomeWaterCoolers.co.uk is a venture from The Water Cooler Company and The Water Delivery Company – two of the leading water cooler companies in the UK – to provide customers with a resource dedicated to water coolers and water dispensers suitable for the home. The home water cooler market in the UK is still in its infancy and we are the first dedicated website selling or renting to domestic customers. Around ten years ago the only water coolers available in the UK were ugly white coolers that would have not fitted into the residential marketplace. Things have changed! The range of water coolers we have selected for our website represents the cutting edge of water cooler design – and very suited to the sophisticated needs of many homes. 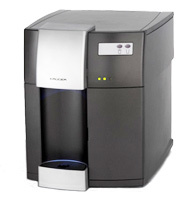 We also have more value focused water coolers for customers on a budget. Please take your time looking through the options available on our website. If you have questions then please contact us on 0845 006 3309 for further details or email contact@homewatercoolers.co.uk. We are a family-run business which was established in 2003 and is still run by many of the members of staff who helped start things off over seven years ago. We were one of the first companies to bring information about water coolers online and have since then established ourselves as market leaders in the provision of water coolers to both offices and homes across the UK. We have a 6,000 sq ft warehouse in Wimbledon, London from where all of our spring water, water coolers and water cooler accessories are distributed. Our members of staff have unsurpassed level of knowledge of water coolers and pride themselves in excellence of service. Our goal is to offer the online consumer a level of service that surpasses their expectations. We realise the importance of a secure and confident online shopping environment and we have everything in place to ensure that your transactions with us are secure and simple. We never share our customers’ details or email addresses with third parties and all payments are taken by our secure third party provider, Google Checkout. We are available on the phone during normal office hours Monday to Friday on 0845 006 3309 to help you with any questions you might have, or you can use our contact us form on this website – we will respond to all enquiries within 24 hours at maximum. If you prefer to not purchase through our website then you are welcome to call us to arrange payment by credit/debit card, cheque or by online bank transfer. We will not bamboozle you with water cooler terminology – all product descriptions are laid out in non-water-cooler-nerd terms. All products have a 14 day returns policy as long as the products are returned to us in a saleable condition. Your statutory rights are unaffected. We will price match any lower prices you are able to find online for any product within our range. You do not need to rely on our website – Call us with any questions you may have and we will answer them as soon as possible.